We have all been in a situation where our phone suddenly gave up and died, and there was nothing we could have used to charge it with. There are power banks indeed, but for people who trek on mountains for days at a stretch, might not find carrying two to three power banks feasible. Also, it’s a hassle to search for charging spots, even for the power banks, all the time when on longer trips. Thanks to Waterlily Turbine USB charger, our days of worrying about the phone battery while on a trip is over. And why just a phone, it can charge just about anything that can be connected with a USB. It is just amazing how this little device can do the charging on the sport with the help of running water or wind. Yes, you read it right! It works on running water and wind. Waterlily is an eco-friendly charger and can charge all USB smartphones, power banks, cameras, tablets. It uses wind or running water to charge devices, and faster the wind or water, faster is the charging. Just place it where the wind is blowing or under the running water and your device will start charging! It’s that simple. Waterlily comes with a rechargeable 2600 mAh battery, four stainless steel lanyards, two stainless steel carabiners and a paracord. If you are comparing this one with the portable solar panels, let us tell you that comparatively, Waterlily turbine charger is maintenance free. You can just set it up in an appropriate place and wake up to fully-charged devices in the morning. The good news is, the turbine is not bulky and doesn’t require a trolley to drag it to places. You can let it cling on your bag quite comfortably and walk around without bothering yourself. Also, if you are worried about slow wind or river, you can rest assured because Waterlily turbine can also charge on speed, as slow as 0.28 m/s; which is 1 kph! 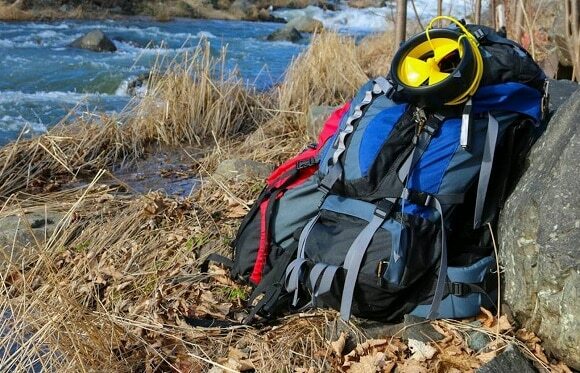 So, if you are planning to go trekking to secluded places and want to spend a long weekend, this device is just what you need to keep your other devices running without interruption. Grab one today and enjoy a hassle free experience, whenever or wherever you go!